Registration for this class will open July 1, 2019. Classes take place Wednesdays from 6:30-8 pm unless otherwise posted. Registration for this class for the following semester will open on July 1 and closes on August 3, 2019. 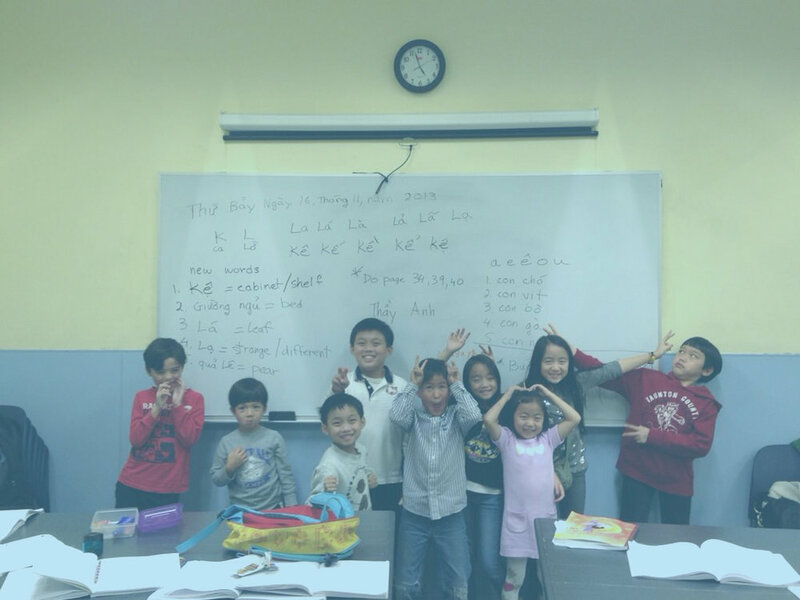 The Spelling and Pronunciation class was an essential introduction to learning the Vietnamese language. I can't imagine attempting to do so without this important foundation. By the end of the class, we were able to recognize and say all of the vowels, consonants, vowel/consonant combinations and use the 5 tones effectively. I was amazed that we could not only read, but also speak using words and expressions in such a short time. Thuy was an incredible teacher! As a linguist and language educator myself, I greatly appreciate her methodical and supportive approach, and I love that she demands total accuracy in her students' pronunciation - something many teachers tend to overlook. In just a few weeks, I developed a true appreciation for the beauty of Vietnamese (something I did not expect! ), and the class really inspired me to continue taking lessons and fully commit to learning the language. If you're looking for an intro class to Vietnamese, this is a key first step. Highly recommended! * Students under 18 years old must have approval from a parent or guardian prior to enrolling. Note: This class does not replace 101; rather, it provides exposure to someone completely new to the language. The first three weeks focus on reinforcing spelling conventions and pronunciation techniques. In the fourth and final week, students will participate in a spelling bee, complete with prizes! Assessments will take the form of homework, in-class participation, and a spelling bee at the end of the course. Class materials will consist of handouts provided by the teacher. Students are expected to bring their own writing supplies, including paper, pencils, erasers, etc.